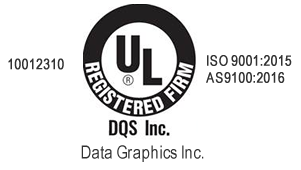 DG Difference | Data Graphics Inc. DG Difference | Data Graphics Inc.
What is the DG Difference? Thanks for landing on this page! We appreciate the opportunity to explain to you what the DG Difference is. You see, some companies decide to do the minimum. Unlock and open the door, turn the lights on, fire up the machines and work their employees to the bone all in the name of bottom line profits. Squeezing the customer for every last penny they have and doing so on a transactional basis. Here at DG, we see and do it differently and that is just the start of the DG Difference. While we must have a bottom line to reinvest in our business, we do not see you, our customer, as just an order or a spot on a monthly report. We conduct our business with the big picture, long term view in mind. This view encompasses our employees, customers, vendors and all other partners that we work with here at DG. We need all these pieces of the puzzle to execute the DG Difference Plan. Our employees are a top priority. That is why we have many team members that have been here over 10, 20 and 30 years! We are embedded into the community, supporting various charitable causes in Central Florida. We truly believe that supporting each other leads to a long term partnership with our employees and the community in which we come to call home. We want our employees to be successful at work, as well as at home. Life is short. We celebrate employee’s birthdays, anniversaries, marriages, as well as our employees starting families and buying homes. However, Data Graphics mission does go beyond the 8-5, Monday through Friday, mentality. We are here to serve you, our customer, with service that extends beyond the basics. Have an afterhours or weekend question? Fill out our online form and we will try and get you a short answer as quickly as possible and let you know that we hear you. Our families are important and we do sleep, sometimes! However, we realize that a quick answer may assist you and your mission. In any event, we will touch base and then get back to you during normal business hours. Flexibility, efficiency, integrity and mutual respect – these are all part of the DG Difference. We want all our employees and business to be conducted with these characteristics in mind. This builds trust amongst us all which enables the product to move through the plant quicker and get it to your dock. We want to help build your successful business. When you are successful, we are as well. We hope that some of this DG Difference translates to you and beyond. We hope by now that you can see what the DG Difference is. If what you have read describes who you would like to partner with, we would welcome the opportunity to show you more of the DG Difference.